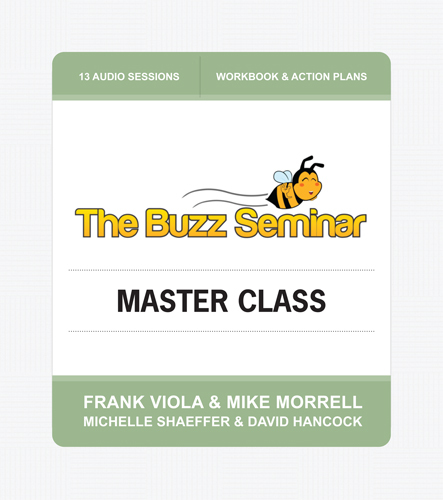 Frank Viola author is one of the facilitators of the new Buzz Seminar Master Class. It’s time for you to learn how to create BUZZ. For your blog. For your book. For your business. For your message and mission. That’s why we converted our popular Buzz Seminar into a course (we call it “The Master Class”) that you can order from anywhere in the world and take from the comfort of your own home. * You get 562 minutes of in-depth teaching from the four speakers (9.5 hours total). * You get the teachings on an MP3 CD (which plays in most newer automobiles). You can upload the MP3 audios to your smart device or computer. * You get the 120-page Buzz workbook (printed in a 3-ring binder) that supplements the audio teachings. * The workbook is also included on the CD in PDF, Kindle, and Nook versions. * You get a premium membership to the closed FaceBook group called THE HIVE where those who have attended the live seminar and/or taken the course help each other. * You get access to our ever-growing Resource Page which keeps the course evergreen and up-to-date with the latest findings and resources. * You also get the 100-page BUZZ BOOK as a free bonus supplement. Audio = 1 hour, 2 minutes. Audio = 1 hour, 6 minutes. * You have the course for your entire lifetime. * You always have access to the special online Resource Page. It never expires. So every time it’s updated, you still have access. * You can work through the course at your own pace! There’s no time-limits on the course lessons. * You can put the audios on the device of your choice. Just copy the files from the MP3 CD to your device. * You have lifetime access to THE HIVE (the closed FaceBook group). It never expires. There are over 300 million blogs on the Web today, all vying for people’s limited attention. There are over 3 million books published each year in the USA. The average book in the USA sells less than 250 copies per year. The average book in the USA sells less than 3,000 copies over its lifetime. A book has less than a 1% chance of being stocked in an average bookstore. For every available bookstore shelf space, there are 100 to 1,000 or more titles competing for that shelf space. Point: It is increasingly difficult to make any blog or book stand out today. New titles are not just competing with three million recently published books, they are also competing with more than seven million other books available for sale. The Buzz Master Class is designed to help you beat these odds . . . because the presenter’s have done it themselves with their blogs and books. CONQUER ONLINE OBSCURITY – STOP BEING AN INVISIBLE BLOGGER & AUTHOR! Suppose you enrolled in college or a trade school to learn a new skill. You would spend thousands of dollars on your education, it would take years to complete, and when you graduated, there would be no guarantee that someone would hire you. Now imagine that you took a premium course at your own pace that would equip you to begin earning money immediately through your writing talent. The course wouldn’t cost you anywhere near the cost of a college or trade school education. Nor would it take you years to acquire the strategies that you need to earn income. This is what The Buzz Master Class is all about. We have limited supplies of the course. So you’ll want to order soon! Don’t wait. Your life deserves better and so do the people who need your message. Remember, your results won’t change unless you take action and do something different. 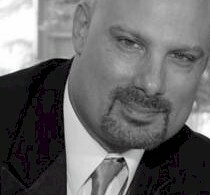 The Buzz Seminar Master Class gives you the direction, the instruction, and the tools to bring forth the transformation that you are wanting. We will stop taking orders on October 2nd at 8:00 AM EST and then the course will be wait-listed. Remember: The next time we launch the course, which will be in a several months, the price will go up. The current introductory price is only $697 USD plus shipping and handling. All courses will be shipped PRIORITY MAIL. The Lord used a parable once about a woman who was in labor. Consider this woman. She is pregnant. She must acquire a new wardrobe. It matters not what she wears, she still feels fat. The curves have vanished. Now there are stretch marks. It doesn’t matter how she sits, she still can’t get comfortable. She can’t even wear her two-piece for the summer. And then comes the labor. I have no idea how cataclysmic the pain must be. But I have heard the screams firsthand. Talk about darkness! Talk about pain! Talk about suffering! But what did the Lord say about it? When the woman completes her travail and the baby is born, she remembers her pain no more. She forgets everything—even the nasty things that came out of her mouth while she was screaming. The memory is erased because a new child is born into the world, and the morning has come. The night is forgotten. The disciples forgot this when their Lord was taken away from them. They experienced the dark night. Those three days must have seemed like an eternity for them. There was no hope on the horizon. Remember the parable of the old wineskin and the new wineskin? God will take away the old wineskin because it can’t contain the new wine. He needs a new wineskin, in fact. So the Lord tampers with our wineskins. He wrecks them if He wishes. He destroys the old wineskin so that He can hand us a new wineskin. That is why there are changes in church life. The Lord wants to deposit new wine. And the new wine is always better than the old wine. This is the way in which our Lord works. First darkness, then light. First evening, then morning. First death, then life. What you and I call the end of the day, God calls the beginning. Some Christians have a way of overstating their experiences. Others understate them. Multiple people may experience the exact same phenomenon—whether it be a church meeting, a conference, a retreat, a convention, a particular manifestation of the Holy Spirit, or a shared encounter. By and large, it’s semantics. In addition, to say that a Christian is to “seek” a feeling of God’s presence is bad theology. Plain and simple. There’s no such exhortation in all of Scripture. Try to find it in the New Testament, and you will discover that it’s glaringly absent. It’s just not there. An oft-quoted passage used to support the idea of seeking God’s felt-presence is Psalm 22:3. In the King James Version, it reads, “Thou [God] that inhabitest the praises of Israel.” This text has been traditionally used to invoke or summon God’s presence by singing praise and worship songs. The term praise here is seen as a reference to the One who Israel praises. The text is an affirmation of an Old Testament reality. Simply put, the presence of God dwells in the holy of holies in the temple at Jerusalem. It in no way indicates that God is somehow made present by our praises. What’s more, we must be cautious about literally applying statements about Old Testament temple worship to Christian worship. Consider the implications of Jesus’ words in John 4 in this regard. Worship of the living God can occur at any place and at any time. Unlike the Charismatic Spiritual Conversational Style (SCS) and the Quoter SCS, the Pragmatic SCS is chiefly interested in what works. Those who use this style of conversation have a nuts-and-bolts approach to life. Appeals to personal revelation do not impress them. Neither do quotes from the Bible. They want to see what is working and what has proven to be successful in the lives of the people with whom they converse. This, they believe, is where truth lies. Those who hold to the Pragmatic SCS believe that there are no easy answers to the countless theological questions that have raged in the church for the last seventeen centuries. Rather than quibbling about “correct doctrine,” the Pragmatic SCS focuses his or her sights on what is working in the real world. With this in mind, the Pragmatic SCS is concerned less with academic differences and centers more on actual practice. Pragmatics are willing to “agree to disagree” over theological matters. Those who do not use the Pragmatic SCS feel uncomfortable with this approach. They believe that such a rearrangement of the conversational furniture betrays the authority of Scripture. Since the Pragmatic style is more concerned with outward effects, it pays less attention to doctrinal precision. Hence, when a Quoter cites a text from Matthew, the Pragmatic isn’t satisfied. He or she wants to know “How does this work out in real life?” Their conviction is that evaluating the practical outworking of a given belief is much richer than merely quoting a biblical text and less likely to short out the conversation. Those who use different stylistic conventions argue that the Pragmatic approach rests upon shaky ground as a basis for one’s beliefs. They feel that just because a belief may appear to have practical utility, that doesn’t mean it’s valid or divinely approved. Thus when Quoters and Pragmatics have conversations, both seek to cajole each other into rearranging the boundaries of the conversation so that the other person is conversing according to their playbook. This is largely true with the Charismatic as well, for if God hasn’t spoken something directly to his or her conversational partner, the Charismatic is apt to reject it, regardless of its practical utility or biblical merit. It must be stressed at this point that not all who hold to the Pragmatic SCS work with the same premise. For some Pragmatics, the notion of success is a self-evident idea that’s measured by outward metrics like numbers, size, budget, attendance, conversions, etc. For others, the concept of success lies in following Christ and being conformed to His image. However, because of the strong appeal to success and workability, these two versions of the Pragmatic SCS are often indistinguishable by other SCSs. God called Abraham out of the land of Babylon to a city that the Living God Himself had built. En. Ur of the Chaldeas is the land that later came to be called Babylon. When the Divine call came to Abraham, he dropped everything, left Babylon, and began his search for the city of God. Hebrews 12:8-10. Abraham topped a hill, put his hand above his eyes, looked down into the valley, and looked for the city that God had built. This became his occupation in life. Countless were the hills that he topped and the valleys that he looked down upon. He did this until the day he died. As Christians, Abraham is our father. And the city that he looked for represents the church after God’s own heart—our native habitat. Thus the call to Abraham extends to us as well. So if you, like Abraham, would like to begin the quest for the church after God’s own heart, I would like to recommend these books that will help you further in the journey. I wish to introduce you to one last disease. This particular illness doesn’t inflict entire churches. Those who are at risk are typically young males who are ambitious to serve God. The disease? Apostleitis. Apostleitis is the unrealistic desire to become an apostle. Those who suffer from this disease have no idea what the apostolic call involves, for if they did, they would never dream of wanting such a call. The apostolic calling is a death sentence. It’s one of the worse things to befall an individual. See 1 Corinthians 4:9-13; 2 Corinthians 1:8-10; 4:1-12; 6:3-10; 11:1-12:10. One of the best treatments for those who are plagued by this disease is to read a book entitled, The Release of the Spirit by Watchman Nee. That volume has a rather high cure rate for healing this illness. The book is made up of talks that Nee had with young apostolic workers who he was training. It’s far wiser to prevent an illness than to cure one after contracting it. What follows, therefore, are three ingredients for building a healthy immune system. Each outlines a long term regimen for good health. * Eating the right food. The church must learn how to draw its life and energy from nothing but Jesus Christ, John 6:57. If a church doesn’t know how to do this, it will not survive. It must learn to nourish itself with those things which are invisible and intangible. In addition, it must receive a balanced meal. The riches of Christ are infinite in scope. If a church partakes of only one or two aspects of Him, it will become undernourished and deformed. * Regular exercise. Nourishing oneself with spiritual food is not enough. The church must share its spiritual food with its members. That is, the members must function in the meetings. They must learn to partake of Christ individually and together, and then impart His life to the other members in the gathering. Such spiritual functioning is the life-blood of a church. Christians in the West have been so conditioned to be passive that they don’t know how to function in a meeting where there is no human officiation. Like Pavlov’s dog, many (if not most) believers have been conditioned to be quiet and watch someone else minister. God has provided a remedy for this. He has set some in the church to equip the saints for the work of spiritual ministry and to bring the church unto full stature. Properly conceived, these equipping ministries teach the church how to build itself up in love. Ephesians 4:11-16. * Obtain a health practitioner. In the first century, itinerant workers were given to the church by God to show the Lord’s people how to draw their supply from Christ. They existed to help churches spot those spiritual maladies to which they were blinded. They also showed them how to ward off spiritual disease. If a church was suffering from a sickness, they treated it. All of Paul’s epistles, for example, were provoked by church problems. Like a fine surgeon, Paul’s letters were the Divine instruments by which God effected their healing. Christian workers, therefore, are servants to the Body of Christ. They function as health-care practitioners, acting as nurses, doctors, nutritionists, and sometimes surgeons. (Paul actually uses the metaphor of a nurse to describe his function in the life of the churches he served.) 1 Thessalonians 2:7. Understanding church pathology is vital for the sustained health of an organic church. Yet there’s also the danger of becoming a spiritual hypochondriac. Continuous introspection is a sign of sickness. It prevents action. So don’t make a ritual out of checking for spiritual disease. The paralysis of self-analysis can end up killing a church also. If you belong to a non-traditional church, I recommend that the members come together once a year or so to take its temperature, check its pulse, and detect its vital signs. In this way, this chapter will be translated from bloodless theory into practical help . . . help that just may save the life of your church. * The Fall. This is the season of prayer. While each individual Christian ought to maintain a regular, steady prayer life, the church will pass through seasons of prayer where she will prepare herself for the winter season. This means that everyone in the church will meet together regularly for prayer over a specific matter. I’ve been a part of numerous traditional churches that had a regular prayer meeting. Without exception, I found all of them to be perfunctory and woodenly pious. A thorough reading of the book of Acts will show that the prayer ministry of the church is seasonal. The church has instincts. She can sense the change in the spiritual atmosphere. She can discern when she’s entering into a new season of corporate prayer and when that season has ended. * The Winter. The winter is the season of sorrow. During the spiritual winter, the spirit of the church starves for color. A church can’t always be up in the heavens. It must also experience the cold chill of winter sadness. The Body of Christ is not only the treasure, it’s also the earthen vessel. The winter is the season of weeping, broken-heartedness, and discouragement. However, Paul’s words in 2 Corinthians helped me tremendously to see that the winter season is in fact of God. He wrote, “For we do not want you to be ignorant, brethren, of our trouble which came to us in Asia: that we were burdened beyond measure, above strength, so that we despaired even of life.” 2 Corinthians 1:8. Paul, the great apostle of Jesus Christ “despaired of life.” What a relief that was for me. For I will admit that I sometimes get discouraged. And I’ve even caught myself complaining. Indeed, we Christians possess the treasure of heavenly joy. But we are living in a fantasy world to deny that this treasure is contained in a clay vessel which experiences the full gamut of human emotion. Winters are difficult, but they exist for the maturity of the church. The winter finally does pass, and the sun comes into view again. Thank God. We Christians are not Stoics. We don’t grit our teeth, pull ourselves up from the boot-straps and grin and bear it. Job and King David were very open and forthright with their negative feelings. They express their discouragement, befuddlement, and perplexity to the Lord as well as to their friends—openly and honestly. It’s bad enough to go through a painful experience. It’s infinitely worse to be blamed or scolded for hurting over it. Paul exhorts the Christians in Rome to “rejoice with those who rejoice, and weep with those who weep.” Romans 12:15. This is the church’s DNA at work. There is a season for rejoicing, and there is a season for weeping. And the church lives through both. * The Dry Spell. This is the spiritual drought. The church’s throat is parched and her eyes are filled with sand. The meetings are dull and lifeless. Everyone feels as though they are going through the motions. There’s a dearth of joy, excitement, and fervor. Songs that once moved you to tears no longer touch your heart. You’ve entered into the dry spell. To borrow the language of the spiritual writers of the past, the dry spell is “the dry well”—”the dark night”—”the cloud of unknowing.” Death appears everywhere. God has gone on vacation. Interestingly, there will always be one or two people who feel that the church is always in a dry spell. This is simply a reflection of their temperament. Such people are perfectionists with unrealistic expectations. They always overshoot the goal. By contrast, when a church is passing through a dry spell, everyone is aware of it (except for the super oblivious . . . and most churches have at least one or two of those creatures running around). One of the greatest lessons I learned in my spiritual walk is that God is the author of dry spells. He plans them. He creates them. He brings them. And He eventually removes them. Our Lord authors dry spells as much as He authors wet spells. They are both engineered by Him. Those who are of a Pentecostal/charismatic background may be tempted to call the dry season a work of the devil. But it’s not. It’s during the dry spells that most church splits occur. When the well runs dry, the bottom begins to show. When the water recedes, the algae begins to appear. Moths are attracted to light. But when the light bulb goes out, they flee in a royal hurry. The church will grow numerically in a wet spell; but it will lose people during a dry spell. On the other hand, the greatest spiritual growth takes place during the dry spell. Yet it’s imperceptible. The dry spell is the season where the deeper lessons of the Christian life are learned. The church needs dry spells. They are part of the Christian life. Everyone’s devotion to the Lord and the church is tried during the dry spell. Those who are in the church for what they are getting out of it usually head for the door. The dry spell is God’s way of shaking out the fence sitters. It’s the Lord’s winnowing tool. It weeds out those who are worshiping the Creator of the universe from those who are worshiping a Cosmic Sugar Daddy. They separate those who are loyal to the God of blessing from those who are loyal to the blessings of God. In a word, dry spells are designed to purify our love. Interestingly, a dry spell can usually be broken. But that’s another discussion altogether. But sometimes it can’t. And at such times, the church has but one option: Baton down the hatches, hunker down, and walk through it. Blessed is the church that rides out the dry spell. * The Natural Disaster. A crisis is the natural disaster of church life. It’s the spiritual hurricane, tornado, earthquake, avalanche, or wildfire. What’s an example of a crisis? Read the New Testament and look at every letter that Paul penned (except Ephesians). In all of them, Paul is addressing a church crisis. Something is threatening the life of the church. Peter’s first two letters were also written to churches in crises as well as James’ letter. Perhaps Paul had in mind the natural disaster of church life when he talked about “the evil day” of satanic assault, against which the church is to take her stand. Ephesians 6:13. Here’s my definition of a crisis: A difficult and challenging opportunity to discover the Lord Jesus Christ in a new way. To view a crisis through any other lens is to see it from the wrong mountain. Crises will come. It’s how we react to them that will determine if the Lord is going to gain more territory in us, or if the church will sign its own death warrant. There are those two things to do in a crisis: Cling to Jesus Christ, stand against God’s enemy, and die to yourself. * The Wet Spell. This is the season when Body life is running at high tide. There’s a lot of excitement, joy, and life. The Lord is revealing Himself in new ways, and everyone feels like they’ve just met Him all over again. Let’s go back in time for a moment. Do you remember the first time you became a Christian? Do you remember how simple it was? How pure it was? How your heart overflowed with joy? But then something happened, didn’t it? Things started to get complicated. You started “going to church,” hearing sermons, and doing Bible studies. And suddenly, the simplicity, the purity, the excitement, and the joy of knowing Jesus melted away. Well, imagine an entire church “just meeting the Lord” all over again and living out of the joy of their salvation together. Visitors come in and their breath is stolen by the sight of Christ in the church. The love is undeniable, the reality is unmistakable, the joy is contagious, the excitement is real, and God’s presence is detected. This is the wet spell of church life. The church grows numerically the most in this season, and without much effort. It’s during the wet spell that Jesus Christ wins the hearts of many. Sometimes a church may experience a super wet spell, or in modern parlance, a “revival.” This is when the water of God’s life is running 30 feet high. It’s a Divine visitation. A riptide of God’s Spirit. A gully-washer of spiritual refreshing. The saints gather together for meetings, and no one wants to leave. Winning souls is never easier than during the torrential downpours of a super wet spell. You can just about say the name “Jesus” and people will get converted. The Day of Pentecost was such a time. Fortunately, God will not allow a church to stay in the season of revival for very long. The reason: It will tax your physical body to the point of sickness. If a super wet spell continues unabated, God’s people will burn out like a cinder. For that reason, revivals come in spurts. The greatest revivals in history had a life-span of approximately four years. I don’t think that’s a coincidence. Even so, the church of the living God ought to live above seasons. She doesn’t wait for revival. But she pursues her Lord even when there is no wind in the Mulberry bush. She plows forward with or without revival. She makes strides during the winters, amid the dry spells, and through the disasters. She is a woman for all seasons.